I’ve always been a bit of a petrol head and Dan Gurney, who died at the age of 86 on Sunday 14 January, was my favourite ever racing car driver. After winning the 24 hour race at Le Mans in 1967 he invented the now customary practice of spraying champagne over the enthusiasts. 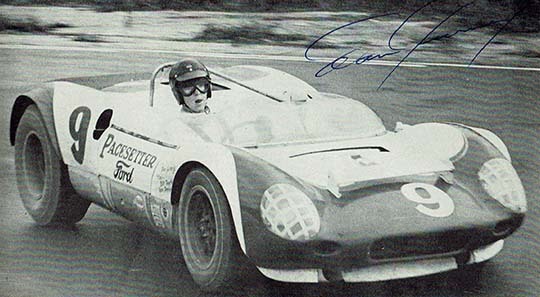 He was also a winner in a variety of other racing classes including Formula 1 and in 1971 with journalist Brock Yates he won the inaugural Cannonball Baker Sea-to-Shining-Sea Memorial Trophy Dash, New York to Los Angeles in 36 hours without ever going faster than 175 mph. I wrote about it in Lonely Planet’s new Epic Drives book. ▲ As a 19-year-old I rode my motorcycle to Brands Hatch, south of London, for the Formula 1 Race of Champions. Dan Gurney didn’t win, but I found him in the paddock after the race – you could do that in those days – and he autographed this picture for me and agreed with my view that he should have won the race. Perhaps appropriately he’s driving a Lotus 19 in the Nassau Trophy and the first race I ever went to – I was 10 years old at the time – was the Nassau Trophy. The Marquis de Portago won that race, but the following year he was killed in the Mille Miglia in Italy, along with his co-driver, 10 spectators and the race itself. 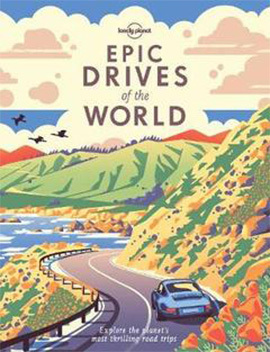 I wrote that up for Epic Drives as well. ▲ Here’s a model of the Ferrari 735 Monza Spider he drove in Nassau, I collected his autograph and that of Stirling Moss after the race.